Family Constellations work helps us recognize and then resolve deeply seated family patterns. These family system characteristics may show up as a loyalty to someone else’s failure, sadness, or pain. There is a collective, cross-generational intelligence that has been part of human existence long before rational thinking and individuality. These were all concerned with survival of the species. We have done a great job of surviving but this instinct can get in the way of our individual growth and potential. Bert Hellinger, the founder of Family Constellations work, was a Catholic priest and missionary. He worked with the African Zulu tribes and learned a great deal about their connection with their ancestors. We can not reject our ancestors and function completely in this life. They are our protection and wisdom. Hellinger studied poetry and many psychotherapy techniques including Gestalt therapy. He brought these together in his work. 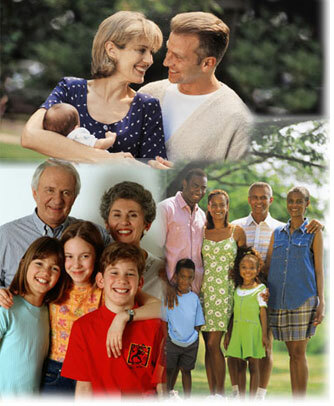 Family Constellations is widely used in Europe and Latin America. It is being used more prevalently in the United States now, as well. The work is transformative. Family Constellations is seen as a complimentary mind and body practice. By getting those old stories out of the head and into a visual field, it can be seen as it actually is. It begins a movement toward changing our perception, which sets us free of the confinements we believed to be permanent. Family Constellations work involves “seeing” through a representation of the family members in their place within the family. This is done in large groups where participants stand in for these members to see what is really happening in the present time within the family structure. It is also done individually by using objects to represent the family members. Once the image of our family can be truly seen for what it is, the potential for movement is made. The possibilities for change are viewed. We can not change the past but we can understand why things happened as they did. In this accepting gratitude we can respectfully choose to do things differently than our parents and ancestors. Constellations work stirs emotions and reshapes that stuck feeling. Nothing can be changed from a logical analytical place. It is moved through the release of feelings and emotions. Family Constellations Session – 1 1/2 hours $150.